In 1990 a federal investigation was completed against the Pennsylvania Department of Education, after filing a federal complaint against the Educational Quality Assessment, EQA, & the US Department of Education's National Assessment of Educational Progress, NAEP, under the Protection of Pupils Rights Amendment. Forced the Pennsylvania EQA to be withdrawn. Forced the US Department of Education to do their job to investigate the psychological testing of children without informed written parental consent. NAEP was never investigated because the Department said I didn't have standing, although documents had proven that NAEP did experimental research & used different states to pilot their agenda by embedding their test questions into the Pennsylvania EQA as well as other state tests. Lectured all over the Unites States in the 90's about illegal & controversial testing, curriculum, & collection of data by our government. Arranged & lectured town hall meetings all across the state of Pennsylvania to withdraw affective student learning outcomes to stop Outcome Based Education. 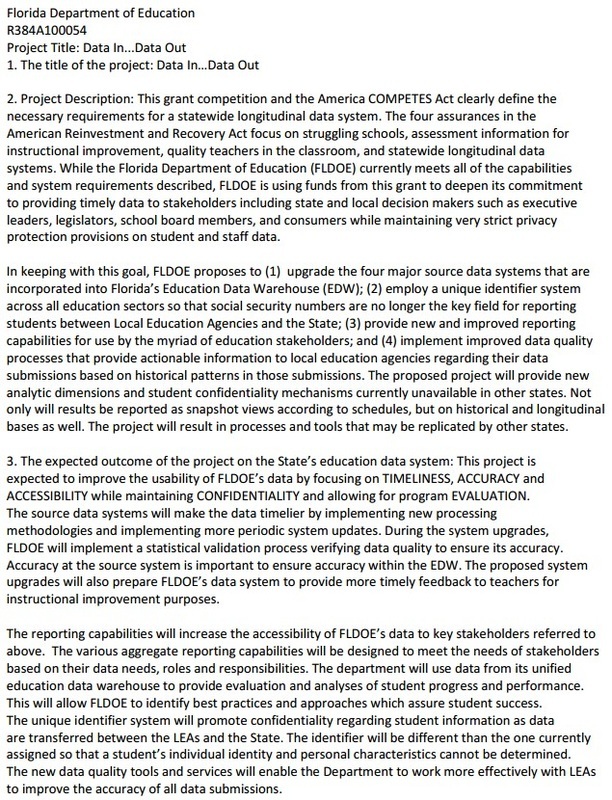 In January of 1992, parents in Pennsylvania won the battle against OBE when the Independent Regulatory Review Board had requested that the State Board of Education remove all outcomes which dealt with attitudes, habits, traits, feelings, values, & opinions which are difficult & subjective to measure & that the remaining outcomes be defined & coordinated with academic requirements that can be measured. The battle continues. 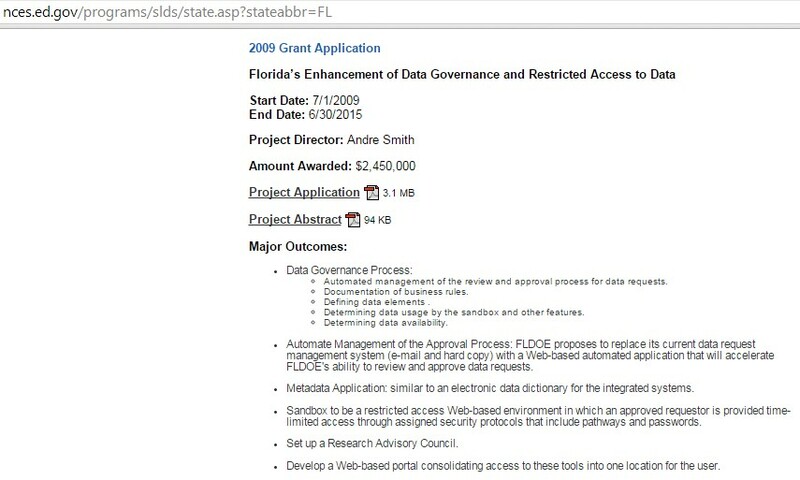 A Link To Your Federal Grant in Your State Creating A "National ID"
When thinking about the violations of privacy that were exposed by Edward Snowden for the NSA monitoring emails and phone conversations.... Honestly! Snowden's release of this information is child's play compared to what the government is collecting on your student and on your family! Read on…. Since Pennsylvania is a model for the nation, I have decided to give America an early Christmas present. 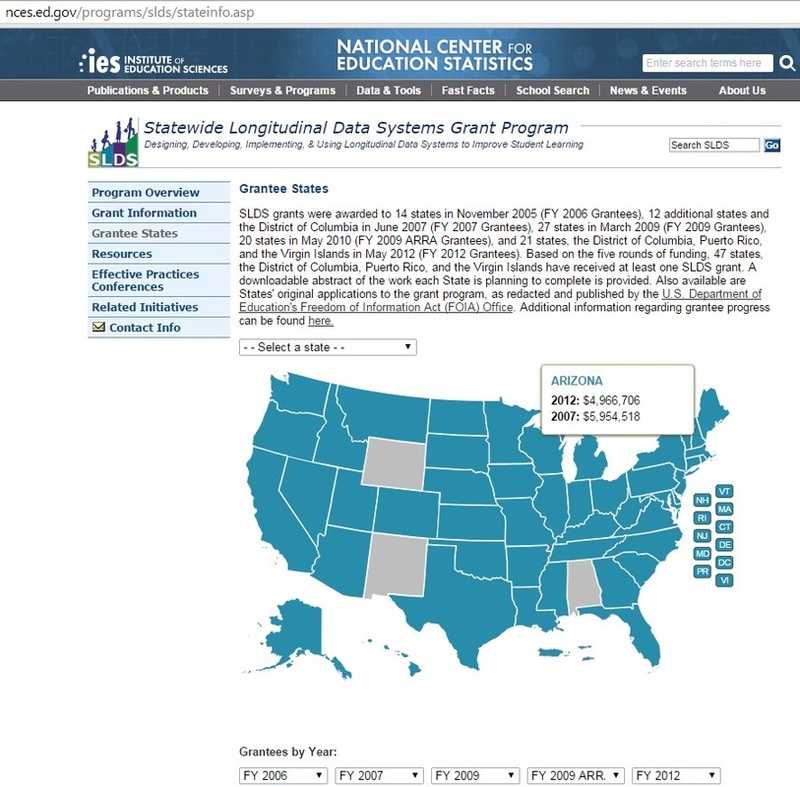 This gift is for every person, in every state, to receive the link to retrieve your state contracts for your state longitudinal data system. This link will give you access to your state grant with the National Center for Education Statistics so that you can see how your particular state fits into the national data collection scheme. Each state can find their grant at the link below. You can identify how your state established a "national unique ID" for each and every student in your state. You can connect the "womb to workplace" data system and prove how this workforce data collection tracks individuals, including wages. Your "national unique ID" identifies your child through mazes of data trafficking that is supplied to the federal government. Outside contractors have access to personally identifiable information on your family for free. Please see the link below. Scroll down to your state. Click on your state. 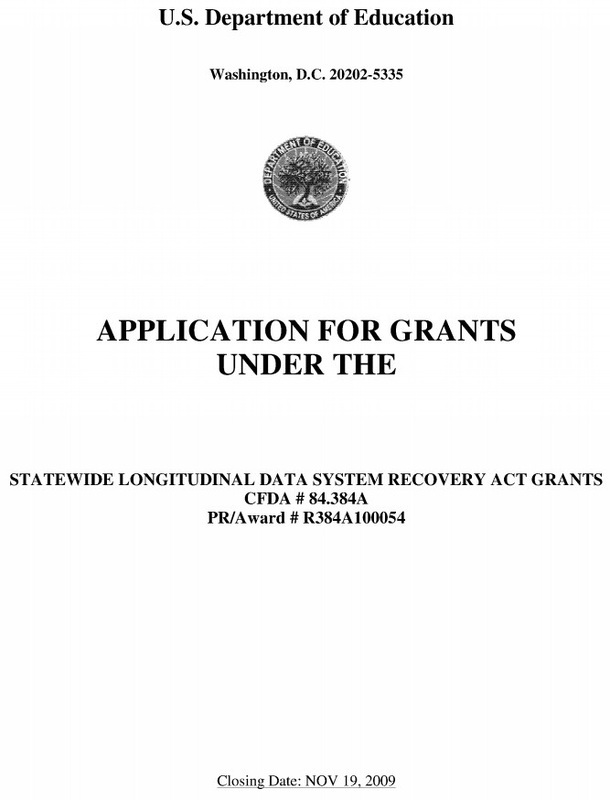 Click on each of the PDF's under each grant application. In some instances there are more than one. Enjoy! 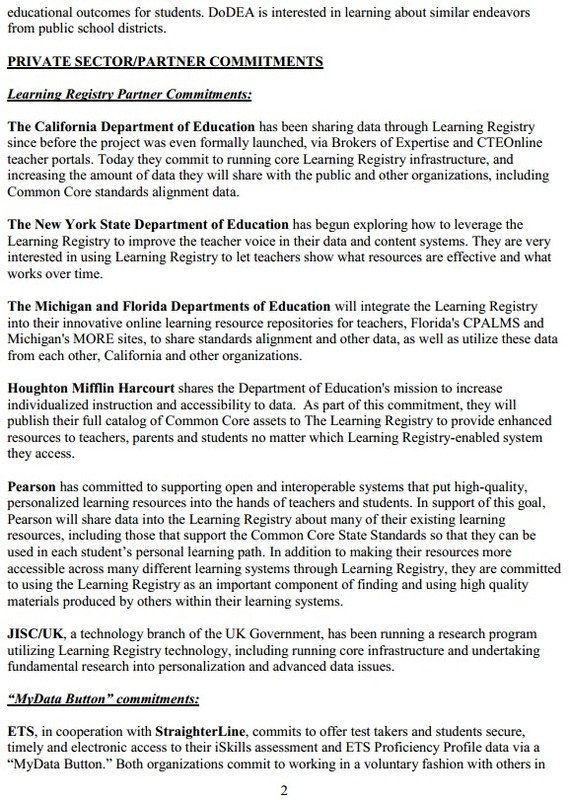 9/20/2014 Common Core, Choice, and Charter Schools…For the Desperately Uninformed! 6/14/2013 FERPA – Could Your DNA Target You For Government Intervention? 5/17/2013 Obama's Education Plan: Charter Schools Are A Trap-Choice Is The Bait - Are You On The Hook? President Obama's Executive Order (EO 12866) has allowed personally identifiable information to be collected, dispersed for research, and given to third party contractors by "unlocking" the Family Education Rights in Privacy Act, FERPA. Your state is no exception. This is the collection of information on your "whole child." If your child is about 28 years or younger, they have a national ID and a federal dossier. This data system has been announced by the National Assessment of Educational Progress as a prototype for a new kind of Census – a psychometric dossier, on every child, adolescent, and adult including information on their child's attitudes, values, opinions, and beliefs, "womb to workplace." (1) The Common Core copyright that standardized a "model" curriculum and standardized the standards in a 50 state strategy creating a national curriculum and a national test. 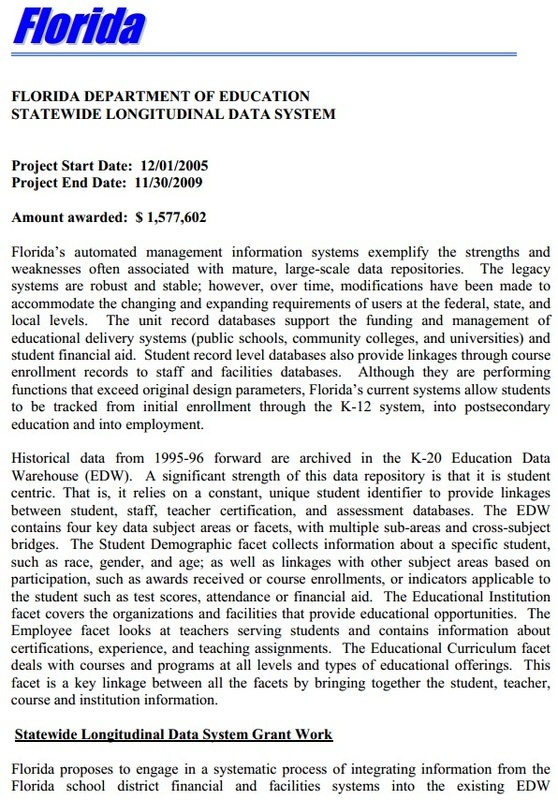 (2) The "unlocking" of data through FERPA opening the floodgates of personally identifiable information (PII data) to be released to researchers, foundations, testing companies, curriculum and software designers, etc., and allowing the identification of individuals in a longitudinal data bank housed in the National Center of Education Statistics with a "national unique ID." The data system will be used to monitor compliance to Common Core birth through retirement, called a student "snapshot." (3) The illegal waiver for the Elementary and Secondary Education Act Flexibility Waiver, the Flex Waiver for No Child Left Behind lowers poverty guidelines to 0% so that ALL children would qualify for Common Core remediation under Title I that blankets a school. It changes the funding criteria of Title I to follow the child. It initiates teacher evaluations and teacher training to monitor whether teachers are teaching Common Core. And it expands Common Core to include dispositions, non-academic standards, and social and emotional learning in the affective domain, which are attitudes, values, opinions, and beliefs referred to as character or grit. Remediation or Interventions in Your "Whole Child"
By using Special Education funds called IDEA (Individuals With Disabilities Education Act), the interventions in Common Core – both "academic and behavioral" remediation of individual students – are used to be sure each student achieves these Government desired attitudes and values. These interventions are called Response to Interventions, or RTI or multi-tiered system of support. This is the real issue of government interventions into the thoughts, feelings, attitudes, dispositions, and beliefs of American children. By using Special Education teams that are funded to go into the regular classroom they will screen ALL students. The controlled literacy piece of this agenda uses behavioral scripts, researched from BF Skinner's operant conditioning and individually prescribed instruction, programmed into computer courses, to prepare the future workforce for "functional" literacy. This is the science-based research that the government touts as being "effective." Parents are not truthfully informed of this process, and the behavioral interventions will proceed on ALL students without your knowledge and without parental consent. Your child will be observed, screened, tested, remediated, and repeated until they meet the government Common Core Standards. Period. This is NOT the Special Education that you think it is. This is NOT about an IEP. This has nothing to do with truly educating your child. It's mental health screening, America. This data is being fed into state and national data banks as soon as your child is identified with a "national unique ID." 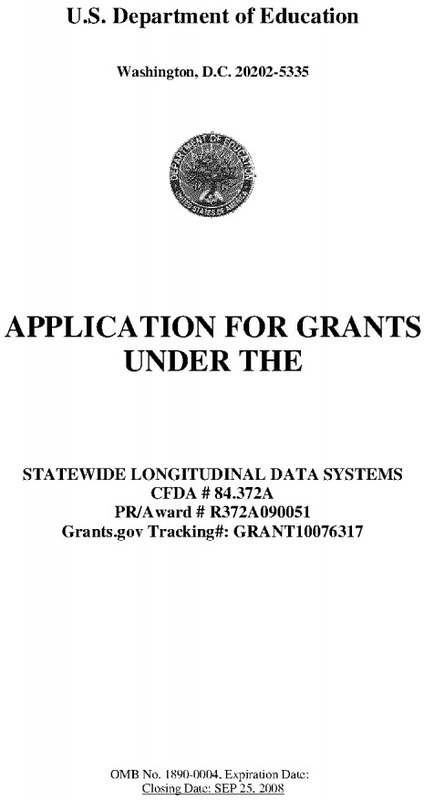 Where your state is in the process will depend on when your state applied for these federal grants in order to come up to speed with the technology and teacher training. The Early Learning grants identify infants and pre-schoolers, and also mandate screening the social and emotional development or affective domain. This psychological or mental health data on personalities, attitudes, values, opinions, beliefs, and social and emotional learning that a teacher is subjectively monitoring is scored on a template. The intervention team sets up a plan to remediate your child's values, opinions, or beliefs. What are the government’s criteria for interpersonal skills, or values, or attitudes? How will proficiency be attained? How do you measure a proficiency in “cooper-ability” in toddlers? 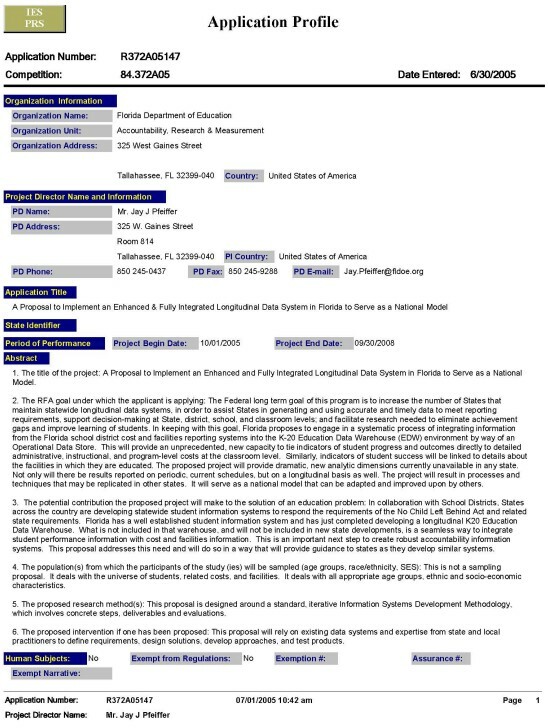 Tracking and trafficking of this personal and sensitive "snapshot" of your student is digitized into a state data warehouse relayed to the federal data warehouse. 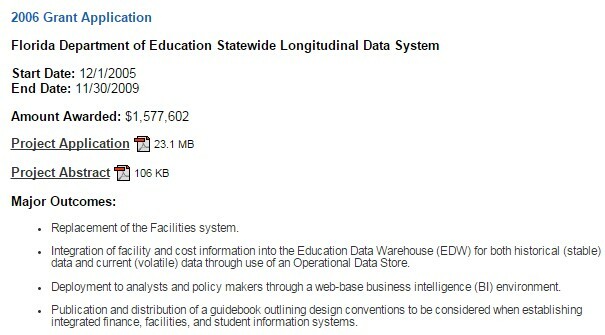 This data can be released to outside contractors through written agreements between state departments of education. This "snapshot" of your child reveals all mental, health, and physical aspects of your "whole child." This is unconstitutional and these Civil Rights issues remain to be pursued. All three federal actions were done without the authorization of Congress and deceptively initiated through presidential fiat. These three federal initiatives have effectually nationalized education in the United States, mandating that individuals meet the nationalized Common Core Standards. Data is the "new" currency. The trafficking of this data into the hands of corporate America represents the biggest redistribution of wealth – stolen from middle class America – that this country has ever known. 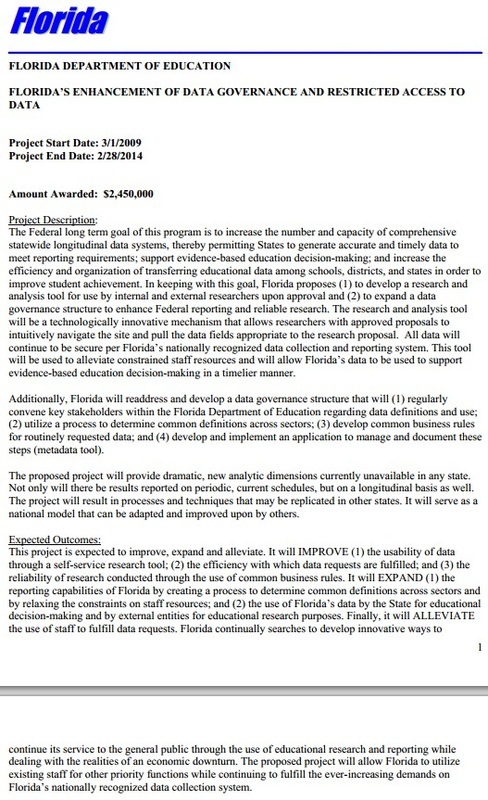 All these researchers, corporations, foundations, businesses, and universities – i.e., Carnegie Foundation, Gates Foundation, Annenberg, Microsoft, Google, Walmart, Cisco, Pearson, ACT, McGraw Hill, ETS, Amazon, University of Pennsylvania, Carnegie Mellon, Penn State, etc, etc, etc,– are able to access this data for free! Your hard earned tax money is paying for every stroke on the computer in this data collection. Every data transfer; every textbook, curriculum, lesson plan; all research developed on 'how to' psychological techniques and conditioning processes; hardware, software, rewiring of schools, computers, iPads, Internet services, digital technology devices, phone apps, code books; every test, all embedded assessments into the curriculum; teacher training, teacher evaluations; data analysts, computer programmers; research in biometric data, every state longitudinal data warehouse, every federal data warehouse, every computer transaction and everything about Common Core... has been paid for by you! Your child's future is being stolen and sold. I hope that makes you mad. You are paying for it. There are severe privacy violations in Pennsylvania. Anita Hoge's Research Group, Pennsylvanians Restoring Education, and the Pennsylvanians Against Common Core, have requested that Governor Corbett put a moratorium on all data collection in the Pennsylvania Information Management System, PIMS.Our Press Release, issued first to Pennsylvania media and then to all national media, has not shaken the Governor's stance. We have requested that the Governor intervene, but still no action from him. He continues to ignore protecting Pennsylvania children and families. 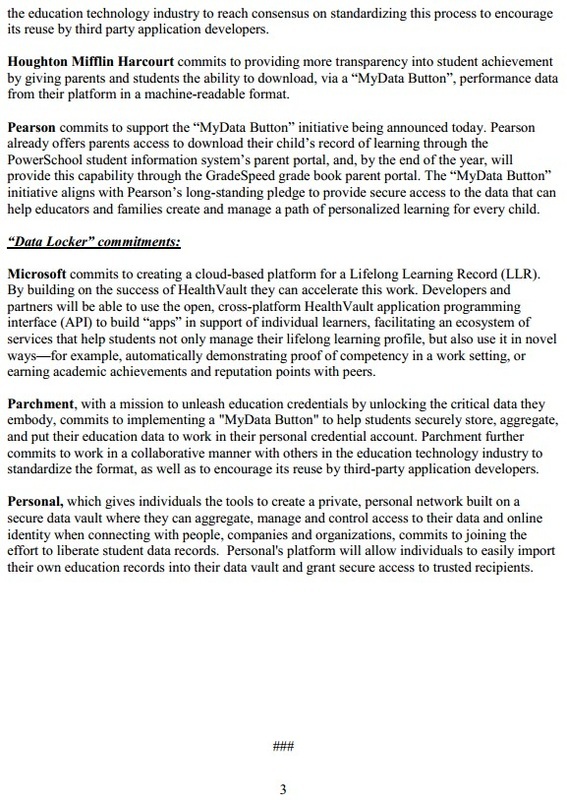 We will provide information about how to access the documents to other state groups who want to discover how the personally identifiable information on their children is digitized in the federal computer data warehouses, and how it is being allowed to be re-disclosed to third party contractors in violation of privacy and other federal laws. 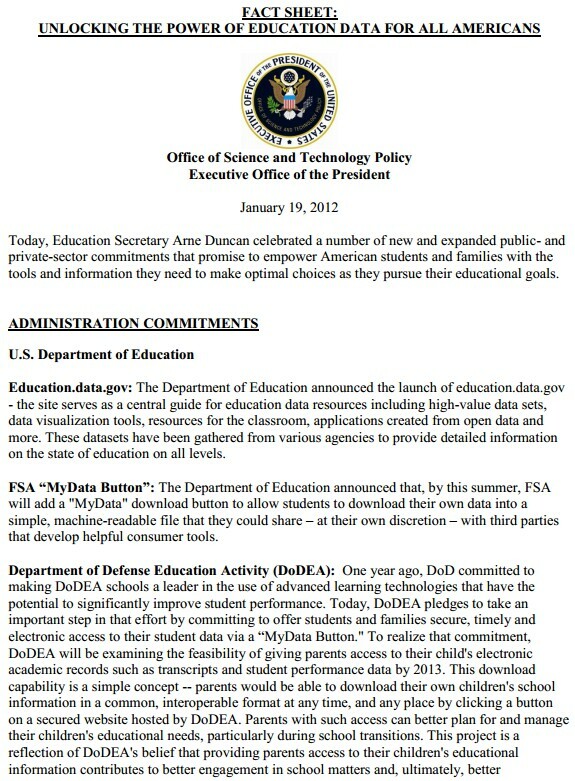 We believe it is the right of parents, citizens, and students to know and understand exactly what this national data system will collect and how this data will impact their future and the future of their children. We believe personal privacy and family integrity must be protected. We give this information to you as a gift (below). I am hoping to hear huge rumblings across the country with bells ringing clear and long this Christmas season. I will know it is the sound of blessed freedom. Please see the link below: Scroll down to your state: Click on your state. Click on each of the PDF's under each grant application. In some instances there are more than one. Enjoy! 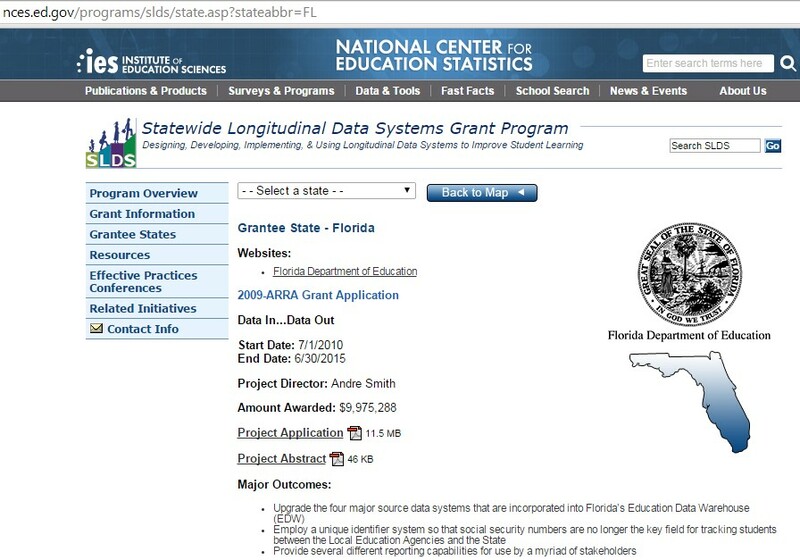 National Center for Education Statistics Grants for State Longitudinal Data Systems.